Sequentially Speaking: Comic Book Conversations: No Whedon Wonder Woman! For years now, since 2004 I think, the talk has been that Joss Whedon, creator of Buffy the Vampire Slayer and Firefly, would be the writer and director for a new Wonder Woman movie. All kinds of names have been thrown around for who he was choosing to play the Princess of the Amazon. Then the last few days Warner Brothers/DC has been reported buying other Wonder Woman movie scripts up. Today I found on comicbookresources.com that Whedon is off the project. Friday afternoon, CBR News spoke with Joss Whedon and asked him what that second script meant for his production. His answer was surprising. "That extra script, as far as I know, has nothing to do with the fact that I am no longer on the project, but I am no longer on the project as of today," Whedon told CBR News. Fan anticipation for a "Wonder Woman" film handled by Whedon has been running high. As the creator of the "Buffy the Vampire Slayer" television series, Whedon seemed the perfect choice to handle a strong female character like Wonder Woman. Obviously Whedon's fans will be disappointed with this latest news, as is Whedon. "It's disappointing, but you know, it's not my piece," said Whedon. 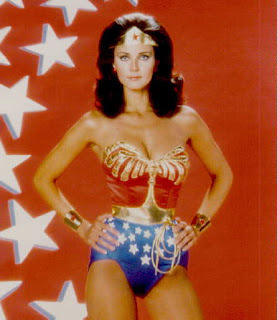 "It's Wonder Woman. 'Goners' is the move that is more me than anything else and that's the movie that I really want to make. I really put my heart into 'Wonder Woman,' I loved what I did, but at the end of the day, I didn't create it, they own it, it's disappointing, but I get it. If we're not seeing the same movie, you have to walk away. It's as much a relief as it is a disappointment - probably for them, too." I guess his disrespect of deadlines and way of making everything way more "epic" and "sci-fi" than it needs to be finally forced the movie studio to pull the plug. Not that he's a bad writer, I just was never sure he was a Wonder Woman writer. Will we ever see a Wonder Woman movie? Who knows. Would it be bad to admit i didn't really pay any attention to what you wrote, but just kept looking at that incredible pic of Lynda Carter? Privy to scripting deadlines and the content of the script? Of course not, Rob. I generalized based on the basic information in the article, some comments Whedon made on his board, and his past performance.